Trouble care: Trichloroacetic acid removes various causes of skin trouble from harmful environmental substance and stress to create healthy skin and helps to keep a fresh feel for a long time. 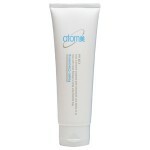 Glycyrrhetinic acid contents soothes skin troubles and comforts sensitive skin. Atomy’s Evening Care 4 line is a pack of four cleansers and peeling gels designed to leave your face clean, silky-smooth, and moisturized throughout the night while treating troubled areas at the same time.